Here are the details for the 2-episode season 18 finale of Law & Order SVU, “American Dream” and “Sanctuary” airing on Wednesday, May 24, 2017 on NBC. “American Dream” will air at 9PM ET and “Sanctuary” will air at 10PM ET. 2-EPISODE SEASON FINALE BEGINNING AT 9PM -- A hate crime against a Muslim family results in the death of their daughter. When a crucial witness in the case is deported, Barba (Raúl Esparza) is forced to drop the charges against a suspect, and tensions rise between communities on opposing sides of the case. 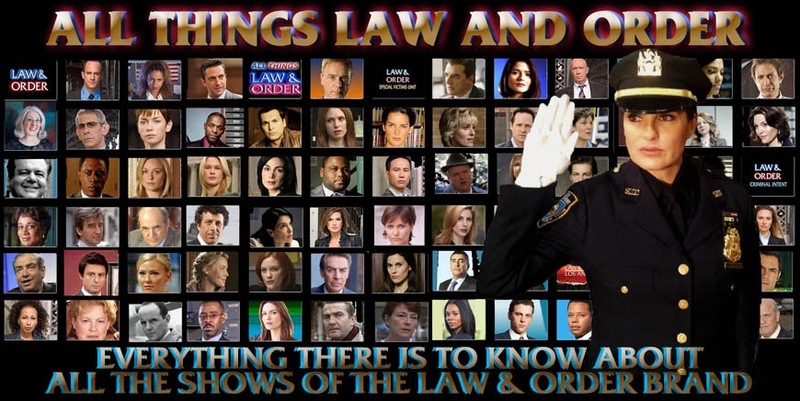 Also starring Mariska Hargitay (Lt. Olivia Benson), Ice T (Sgt. Odafin Tutuola), Kelli Giddish (Det. Amanda Rollins) and Peter Scanavino (Det. Sonny Carisi). Guest starring Peter Gallagher (Chief Dodds), Kirk Acevedo (Det. Ray Lopez), Poorna Jagannathan (Maya Samra), Melanie Chandra (Lela Samra), Gil Perez-Abraham (Hector Ramirez) and Tyler Elliot Burke (Mitch Jenkins). SVU SEASON FINALE CONTINUES -- The unexpected release of a suspect in a hate crime case leaves Benson (Mariska Hargitay) and Barba (Raúl Esparza) caught between two families seeking justice for their loved ones. As public protests escalate to violence, Benson goes to desperate lengths to make an arrest. Also starring Ice T (Sgt. Odafin Tutuola), Kelli Giddish (Det. Amanda Rollins) and Peter Scanavino (Det. Sonny Carisi). Guest starring Peter Gallagher (Chief Dodds), Kirk Acevedo (Det. Ray Lopez), Poorna Jagannathan (Maya Samra), Melanie Chandra (Lela Samra), Gil Perez-Abraham (Hector Ramirez), Massiel Mordan (Soledad Ramirez) and Tyler Elliot Burke (Mitch Jenkins). Season 18 better knock it out of the park with this finale! Also, I'm in my annual worry that the season finale will be the series finale. Do you have any idea yet on the chances of SVU Season 19? @Draven Long - I've thought that SVU wouldn't get renewed for the last two seasons but it still managed to get another year both times. The lower ratings would likely not be acceptable on another network but for NBC, it's ratings are passable. As I thought it would be canceled the last two seasons and it got renewed, I'm afraid to be positive about renewal for fear it will be the kiss of death! Right now, I have no ideas which way the series will go. @Louise Amaro - a few years ago, all those same web sites said Law & Order would get renewed and then - surprise - it got canceled. I've learned that NBC can be quite fickle. As I said, I worried it would be canceled the past two seasons and it got renewed, so if I say I think it's going to be renewed, the opposite will happen! @Louise Amaro & @Chris - keep in mind that a lot of factors go into deciding whether to renew a show or not. It's just not about ratings (which are compared both across networks and within the network). Things like age of the show, cost of production, etc also matter. I forgot to add that you shouldn't take what these sites say literally. The most they can do is give their best guess as to what might happen. This was the worse season finale Ever!! I believe it's time to put this show to bed,Mariska Hargitay definitely needs to be replaced she can't act worth a damn. And as far as our President Trump goes he is only wanting to deport the illegal immigrants that commit felonies and that's it, and once you snowflakes ❄️ figure that out we can maybe start having some decent shows on T.V again. Amazing episode. Best ever. Keep it up SVU, send the message!!! Cindy Kitch, You are 100% correct about this episode. It was a spit in the face of The United States of America and Our President. I have nothing against anyone that wants to legally live here and abide by our laws not whatever lwas you want to have ( sharia ). The Hispanic girl admitted that she was illegally here but she said she paid taxes. How can you pay taxes if no one knows who you really are ?